This is a service that we love to provide for our clients. Rug repair is an odd service for carpet cleaning companies because it is difficult to repair rugs and carpets and make them look like new. 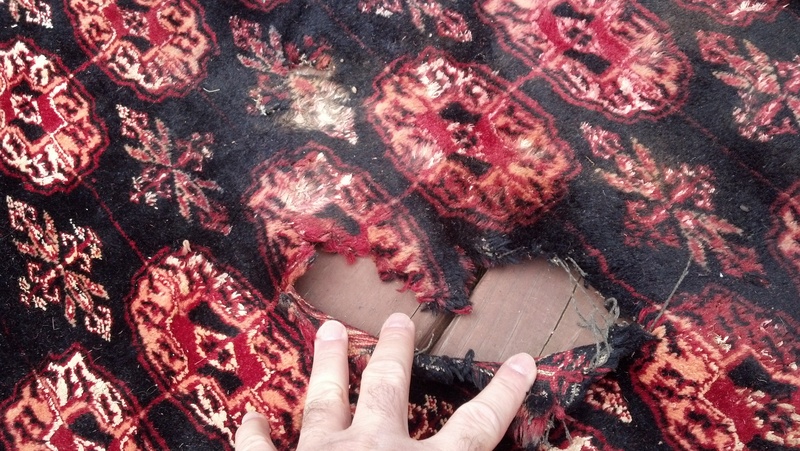 Oriental rugs can be very valuable. In this case, this oriental rug in Fayetteville, GA was a keepsake for the homeowner. Along with rug repairs in Fayetteville, we also provide services in Peachtree City, Tyrone, Sharpsburg, and Senoia. The services we offer include (but are not limited to) upholstery cleaning, carpet cleaning and protection, mold removal, water damage restoration, mattress cleaning, and tile and grout cleaning. The customer had an oriental rug with holes in it. The rug was a keepsake. The customer’s husband brought it home from the middle east. The husband had recently passed away, and because he loved the rug so much, his wife wanted to keep it in tip-top shape. The client’s dog had chewed holes through various parts of the rug. We have a source that allows us to literally re weave rugs. 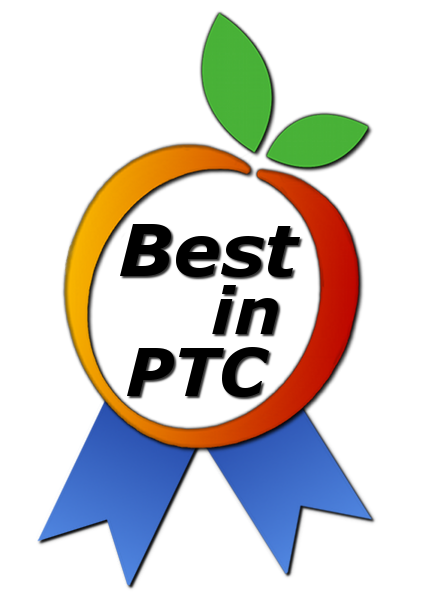 This is not something that most companies have as an asset, so that sets us apart from other companies in our field. Our source has a capabilities to reweave the base that the face fibers are adhered to. From there, they will custom dye fibers to be hand knotted back into the carpet. 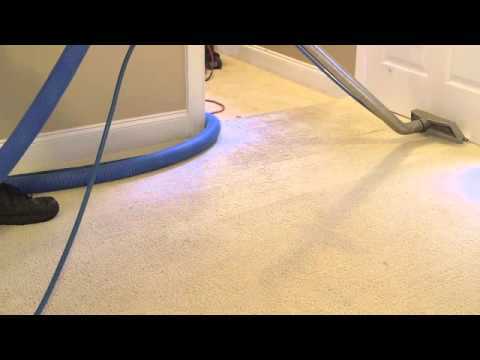 Once that is complete they will trim the fibers level with the surrounding intact carpet. This project would have taken us two weeks to complete, but the client actually decided to just replace the carpet. We would have been her choice company to replace the rug, but she elected to just replace the rug with a new one. We also provide oriental rug cleaning. Cleaning oriental rugs keeps them looking new and pristine, but cleaning oriental rugs is a more complicated process than regular carpet cleaning. 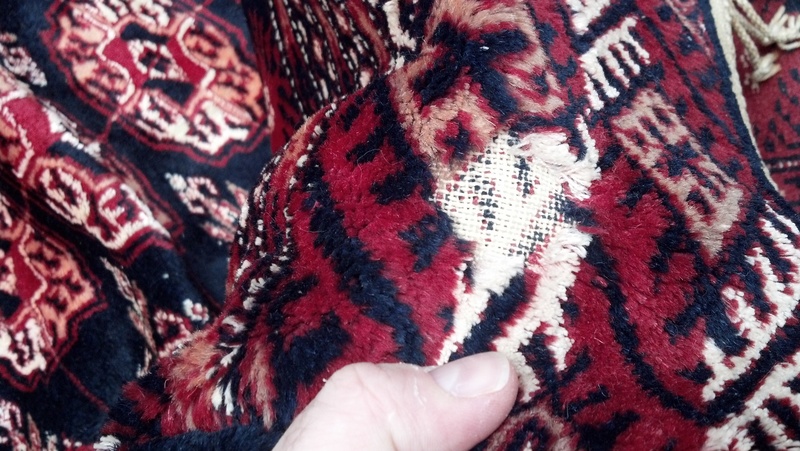 When cleaning oriental rugs, we must take certain steps and precautions as to not damage the rug. Special detergents and slight agitation are just a few key processes we use to clean these oriental rugs. If you have an oriental rug that needs repair, stain removal, or maintenance cleaning, call Golden Glove! We take care of your rugs, and we can either pick up and drop them off, or we can clean them on site. Our main goal is customer satisfaction, so we are willing to do whatever our customers need. Thanks for sharing such a nice information in your post. I really like the information which you have shared.